George Julian was bornin Wayne County, Indiana, on 5th May, 1817. After studying law he was admitted to the bar in 1840. Julian worked as a lawyer in Greenfield before being elected to the Indiana House of Representatives in 1845. A member of the Free Soil Party, he was elected to the 31st Congress in 1848 and over the next two years advocated land reform and women's suffrage. He also opposed the growth of monopolies. Defeated in 1850 Julian continued his campaign against slavery and was an early member of the Republican Party. Julian was elected to the 37th Congress in 1860 and along with his father-in-law, Joshua Giddings, became a leading figure in the group that became known as the Radical Republicans. During the American Civil War Julian argued that the Union Army should not only free the slaves but to reconstruct Southern society. Julian strongly supported the Freeman's Bureau, the Civil Rights Bill and the Reconstruction Acts. After the war Julian clashed with President Andrew Johnson and voted for his impeachment in 1868. Julian served as chairman of the Committee on Public Lands and the Committee on Expenditures in the Department of the Navy. In July, 1885, President Grover Cleveland appointed him surveyor general of New Mexico. His autobiography, Political Recollections, was published in 1884. George Julian died in Irvington, Indianapolis, on 7th July, 1899. This rebellion is a bloody and frightful demonstration of the fact that slavery and freedom cannot dwell together in peace. Why is it, that in the great centres of slavery treason is rampant, while, as we recede into regions in which the slaves are few and scattered, as in Western Virginia, Delaware, and other border States, we find the people loyally disposed toward the Union? I know it was not the purpose of this administration, at first, to abolish slavery, but only to save the Union, and maintain the old order of things. Neither was it the purpose of our fathers, in the beginning of the Revolution, to insist on independence. The policy of emancipation has been born of the circumstances of the rebellion, which every hour more and more plead for it. I believe the popular demand now is, or soon will be, the total extirpation of slavery as the righteous purpose of the war, and the only means of a lasting peace. When General Fremont proclaimed freedom to the slaves of rebels in Missouri, it was greeted with almost universal joy throughout the free States. The popular instinct at once recognized it as a blow struck at the heart of the rebellion. The order that rebels should be shot did not carry with it half the significance of this proclamation of freedom of their slaves. But the President at once modified it, so far as its anti-slavery features went beyond the Confiscation Act. Their slave property must be held as more sacred than any other property; more sacred than their lives; more sacred even than the life of the Republic. Could any policy be more utterly suicidal? 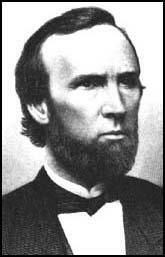 (2) George Julian, like most Radical Republicans, saw the American Civil War as a war against slavery. He reinforced this view in a speech he made in the Senate on 7th February, 1865. The government did not realize the inexorable necessity of actual war, because it lacked the moral vision to perceive the real nature of the contest. To every suggestion of so dire an event it turned an averted face and a deaf ear. It hoped to restore order by making a show of war, without actually calling into play the terrible enginery of war. It will be remembered that just before the battle of Ball's Bluff, General McClellan ordered Colonel Stone to "make a slight demonstration against the rebels," which might "have the effect to drive them from Leesburg." The government seems to have pursued a like policy in dealing with the rebellion itself. "A slight demonstration," it was believed, would "have the effect" to arrest the rebels in their madness, and re-establish order and peace in about sixty days. The Radical Republicans insisted that what the rebellious districts needed was not an easy and speedy return to the places they had lost by their treasonable conspiracy, but a probationary training, looking to their restoration when they should prove their fitness for civil government as independent States. It was insisted that they were not prepared for this, and that with their large population of ignorant negroes and equally ignorant whites, dominated by a formidable oligarchy of educated land-owners who despised the power that had conquered them, while they still had the sympathy of their old allies in the North, the withdrawal of Federal intervention and the unhindered operation of local supremacy would as fatally hedge up the way of justice and equality as the rebel despotism then existing. 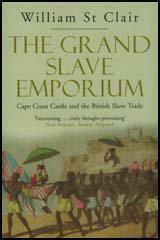 The political and social forces of Southern society, if unchecked from without, were sure to assert themselves, and the more decided anti-slavery men in both houses of Congress so warned the country.